$75 A/C Tune Ups! Call Today to Schedule! 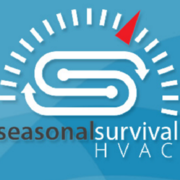 Rate and review Seasonal Survival HVAC in Sun Prairie, WI, United States! Share your experiences at Seasonal Survival HVAC with your friends or discover more Heating and Air Conditioning in Sun Prairie, WI, United States.